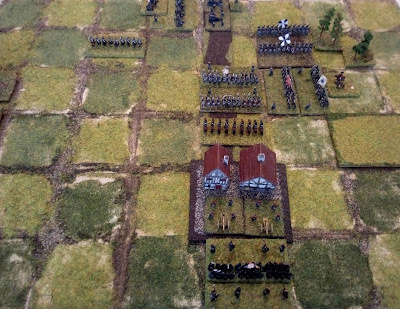 Please see link for my refight of the Battle of Helmstedt, my test game of the Divisional battle rules from Bob Cordery's new Portable Napoleonic Wargaming book with a few comments at the end. Thank you for yet another excellent battle report. I have been asked why I bothered to produce three different versions on my rules for different command levels, but I think that your three battle reports show why it was necessary. I mentioned your two previous battle reports on my blog, and I'll be referring to your latest battle report on my blog at some point over the weekend.